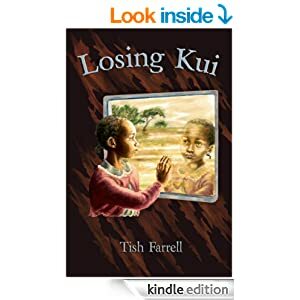 Posted on August 20, 2017 by Tish Farrell	This entry was posted in Books, Heritage and tagged Anna Dreda, Black & White Sunday, Tish Farrell Writer, Traces of the Past, Wenlock Books, Wenlock Poetry Festival. Bookmark the permalink. ← “What Are Those Blue Remembered Hills”? Chapeau Anna! I am sure it is very difficult to survive as a small business next to giants. beautiful building. Indeed it is. She has worked so hard to keep going, as well as providing us with so much food for thought and excellent socialising thrown in with her reading groups. I would be very happy to have a place like this in my neighbourhood. Beautiful post, Tish. I wish the lady a speedy recovery and for this place to go on for many generations still. Seconding all those good wishes, Paula. P.S. thank you for the video too 🙂 It’s like being there in person. It’s so personal and personable, isn’t it. And so much content in such a little video. What a relaxing peaceful place. Every village should have one. Sorry we don’t. I’m sure you are right. It’s such a resource for all, including good spirits as well as books. Oh, marvellous! Lucky yo having such a wonderful bookshop on your doorstep! I enjoyed the video, the more so because of the old books visible in the background….. And Prior to seeing this, I was photographing a few old books for a still li fe! Another reason to come back! I do like Graham Greene but might have to leave it for next year’s book fest. 🙂 🙂 Happy Sunday! I’m just back from another Open Garden. Best get penning! There is nothing like a bookshop. And this one looks a true delight. My trouble is that I can never go in one without spending money! Yes, that makes it hard when we have one that’s so handy, and also good second hand book store a few shops down. Second-hand ones are even worse!! But at least not as expensive. A lovely write up Tish, so nice to have a good old bookshop in the town, it sounds wonderful. Thank you for the link, I am looking forward to meeting Anna via this way. Wishing her good health too. Watched the video. Smiled all the way through. You are indeed very lucky. What a marvelous little corner of the world you live in Miss Tish. And your photo is a delight. Greetings, Bill. I’ve been wondering how you were as I have failed to turn up at your place lately. Many apols. It’s always good to know there are still bookstores somewhere. Indeed a treasure Tish. Thanks the lovely tribute to the shop and for the link to the video. I began to wonder and discovered that my town Moruya has much the same population as Much Wenlock, and also an independent bookshop that hosts events, and has a presence at local events such as the harvest festival with a stall of appropriate books. Not such an old building though! Your account made me appreciative of what we have, as well as thoroughly enjoying a further glimpse into the richnesses you live amongst. Long may Anna flourish – and all the independent booksellers in small towns. I say this with profound guilt, because I do so much book-purchasing online, and for my Kindle. I know that guilty feeling too. 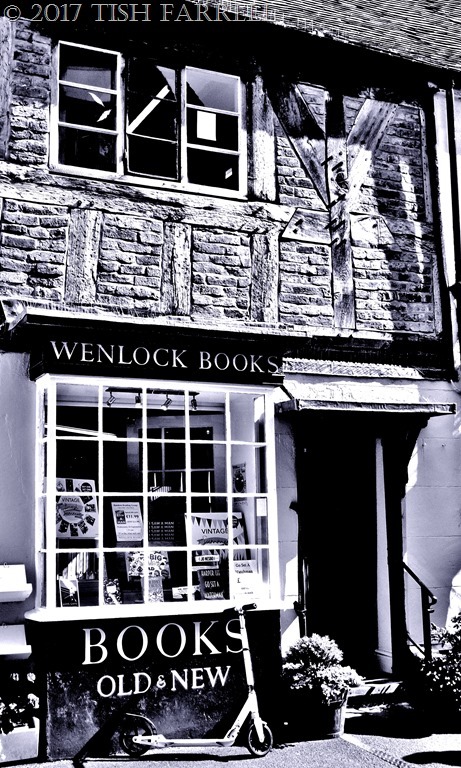 But Wenlock Books does also sell e-books. I must look into it further. p.s. is that your scooter parked outside? p.p.s. best get well wishes to Anna – a woman of substance! What .a wonderful bookshop, and owner; so much on offer. I love the idea of a slow reading book club. That would suit me. Luckily there are still such shops around.